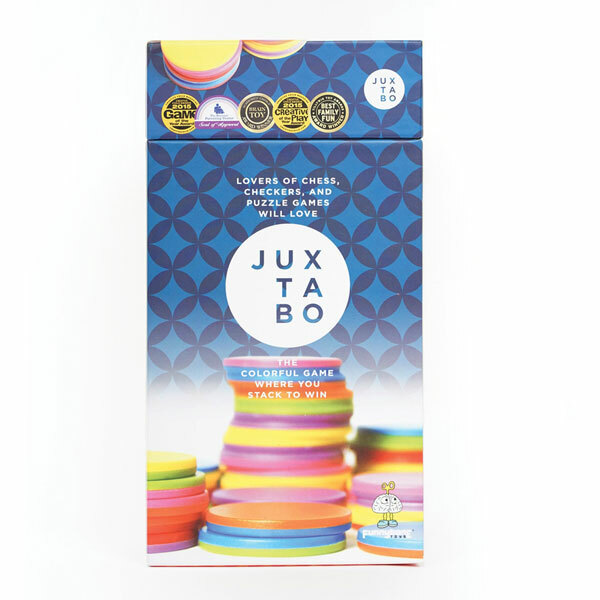 Beautifully designed, fun to play, Juxtabo is a fast-paced mental workout. Think of it as a 3-D version of dominoes. 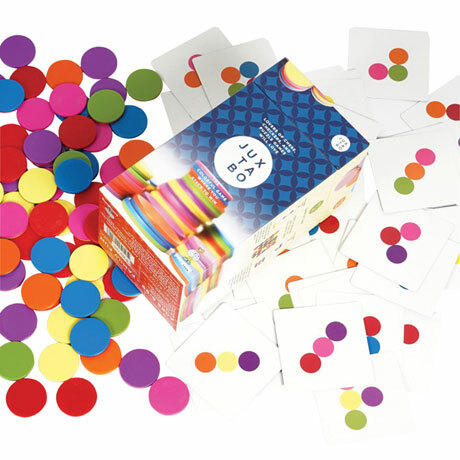 You start by creating a game board from colored chips, then stack more chips on top of them and make patterns shown on challenge cards. When you complete a pattern, you get another challenge card, and the goal is to collect the most challenge cards. Winner of the 2015 Academics' Choice Brain Toy Award, approved by parents, educators, students, and children. 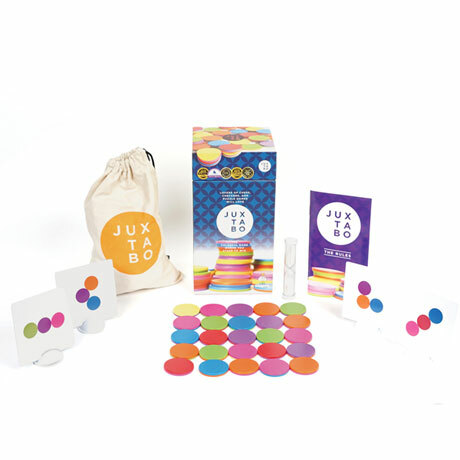 For 1-4 players ages 6 and up.